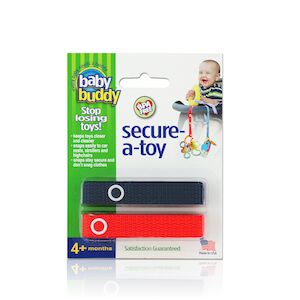 A Baby Buddy Best Seller! 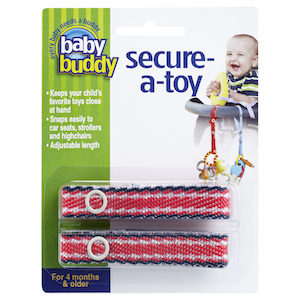 Secure-A-Toy are simple toy straps, which provide a safe and attractive method for keeping baby's favorite toys and teethers close at hand, preventing them from being dropped or misplaced. 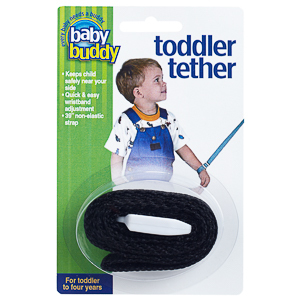 Use the center snap to shorten the strap's overall length or to create a larger loop at one end. 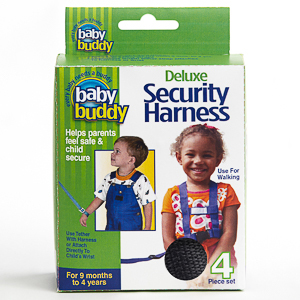 Unlike velcro, the snaps don't lose their strength and don't snag on baby's clothing.